SquadQL is brought to you by the creators of RotoQL, the leading daily fantasy tool trusted by over 50,000 players including top pros. RotoQL was founded by Saahil Sud, the world's number one ranked DFS player. Download now to dominate your fantasy football league this season! SquadQL is an all-in-one app that provides the best starting lineup, personalized news, player research and more! All personalized based on your league’s settings! 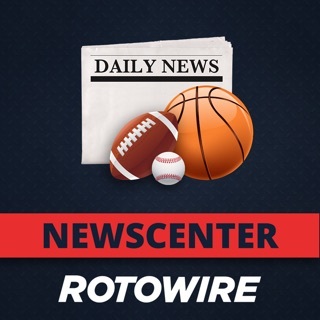 Step 1: Connect your CBS, ESPN and Yahoo leagues to import your roster, league settings and more. Step 2: We will recommend the best starting lineup based on your starters, bench players, and free agent pool. We also personalize the news so you only get updates that matter to you. Lastly, you can conduct in-depth player research if that's your thing. Step 3: Sit back and relax. Victory is just a few clicks away. According to Forbes, SquadQL was "a necessity for all fantasy football team owners." We like to think of it as an unfair advantage to dominate your season-long fantasy leagues! To unlock our optimizer, player research and more, subscribe to SquadQL Premium. This service is a $8.99 monthly renewing subscription that will be charged to your iTunes account and the close of a 3-day trial. To cancel, please go to your Account Settings and turn off auto-renew at least 24 hours in advance of your subscription ending. We've added live scoring! Tap on the match up card on your lineup view to see your current scores and those of the rest of your league. As always, thanks for your support and please contact us at support@squadql.com if you have any questions/concerns. I don’t have much time for fantasy anymore so this helps a lot.